A trio of prep races for the 2018 Kentucky Derby highlight this weekend's racing action across the United States. The Grade 1 Santa Anita Derby features an exciting match-up between the gutsy Bolt d'Oro and upstart Justify, while the G2 Blue Grass has drawn a big field including champion Good Magic and Grade 1 winners Sporting Chance and Free Drop Billy. At Aqueduct, the G2 Wood Memorial is led by Kiaran McLaughlin trainee Enticed, but there are several in the field who could pose a threat to the Godolphin homebred. Also at Aqueduct, the Grade 1 Carter Handicap pits recent stakes winner Skyler's Scramjet against more seasoned veterans Awesome Slew and Army Mule in a field of 11 starters. 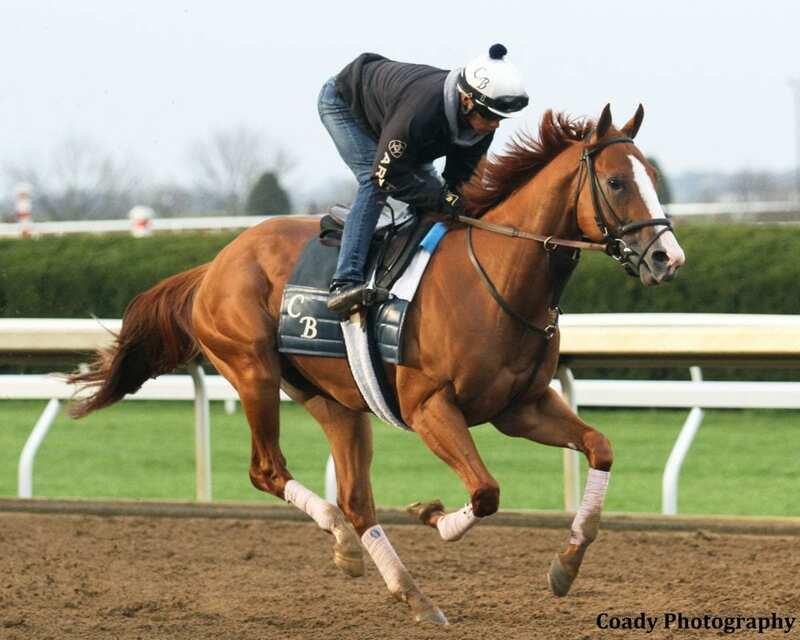 Keeneland features a pair of Grade 1 races on the card, including the 13-horse Grade 1 Madison Stakes, led by Lewis Bay and American Gal, and the Grade 1 Ashland with an intriguing contest between Monomoy Girl and Eskimo Kisses. Santa Anita's card also features the G1 Santa Anita Oaks, in which Mike Smith and Midnight Bisou are the heavy favorites in a field of nine. 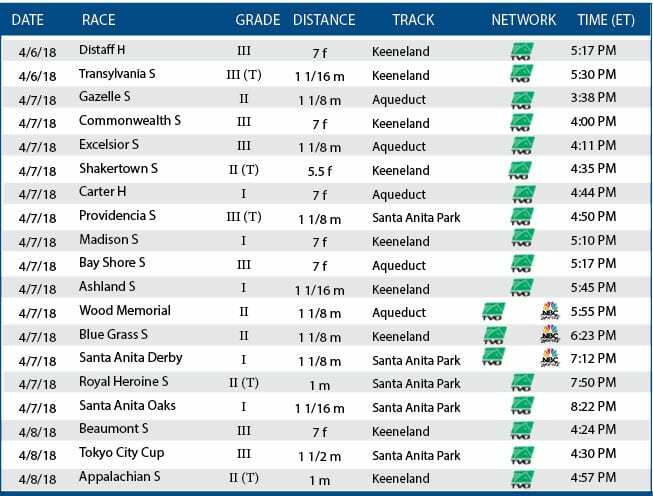 On Sunday, Hoppertunity will start in the G3 Tokyo City Cup at Santa Anita, while Gas Station Sushi and Breeders' Cup winner Rushing Fall return in Keeneland's Beaumont and Appalachian, respectively. This entry was posted in Weekend Lineup and tagged aqueduct, ashland, blue grass, bolt d'oro, carter, commonwealth, enticed, Gazelle, good magic, Justify, Keeneland, madison, road to the kentucky derby, santa anita derby, Santa Anita Oaks, shakertown, Triple Crown, wood memorial by Paulick Report Staff. Bookmark the permalink.